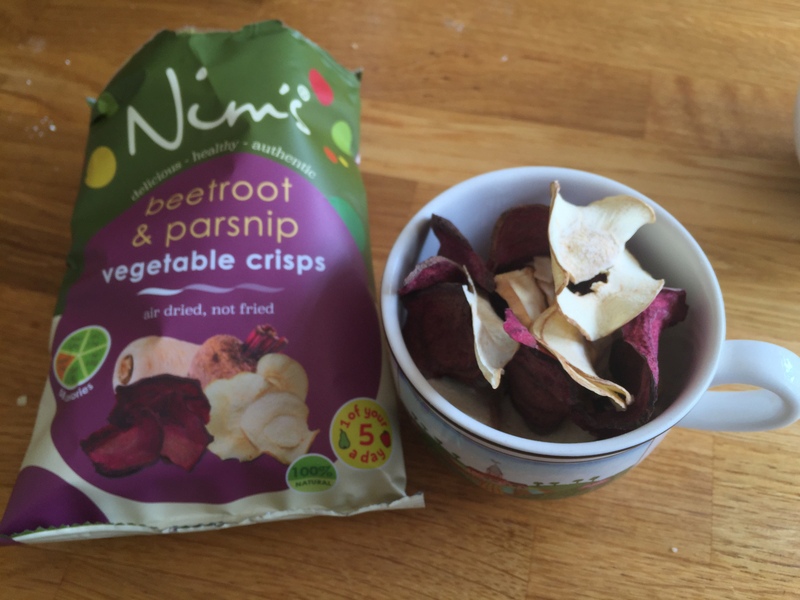 Nim’s guilt-free, fat -free fruit crisps: RIP the potato! 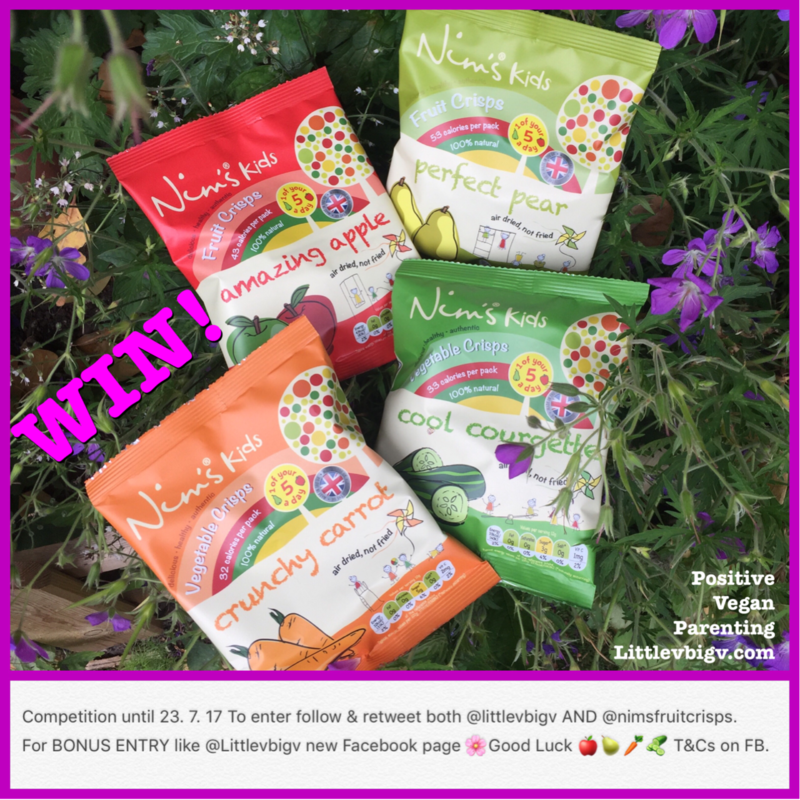 *Update* 4th July 2017 – to celebrate the launch of Nim’s Kids crisps we are running a competition on Twitter giving a way one of each flavour to try – carrot, apple, pear and courgette. We have tried them ourselves and they are delicious! To enter click here. 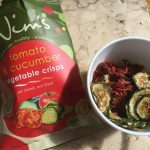 I first came across Nim’s Fruit Crisps a few months ago and have since munched my way through most of the range, which are all vegan-friendly. It’s not often you get to eat three bags of crisps in one afternoon and not worry about your health or waistline. 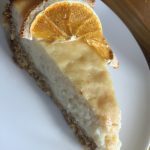 With so much food, especially for kids, processed to within an inch of its life, and unrecognisable from its ingredients list, it’s refreshing to know exactly what you are eating just by looking at the product. 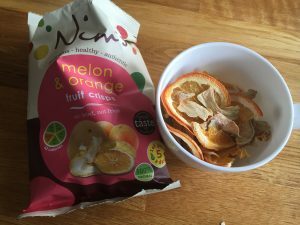 Nim’s Fruit Crisps are surprisingly rich in flavour and some of them, particularly the orange variety, take a few bites to get used to the bold taste. 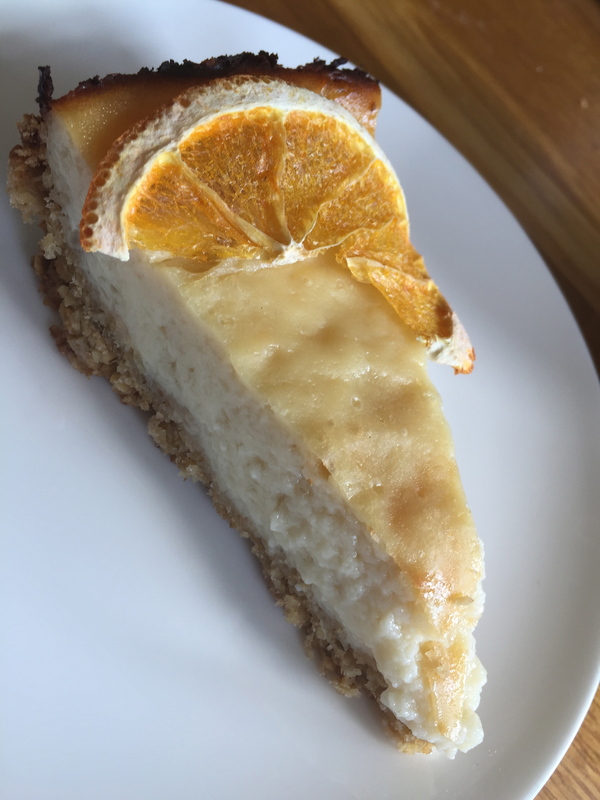 I have even been using the fruit crisps to decorate cakes as they are so pretty, and a single orange slice is an attractive garnish for a gin and tonic. Nim’s will soon be bringing out a range of infusions especially for drinks (orange, lemon and lime), so as a gin lover I am eagerly awaiting their arrival in my drinks cabinet. More information about the fusions can be found here. 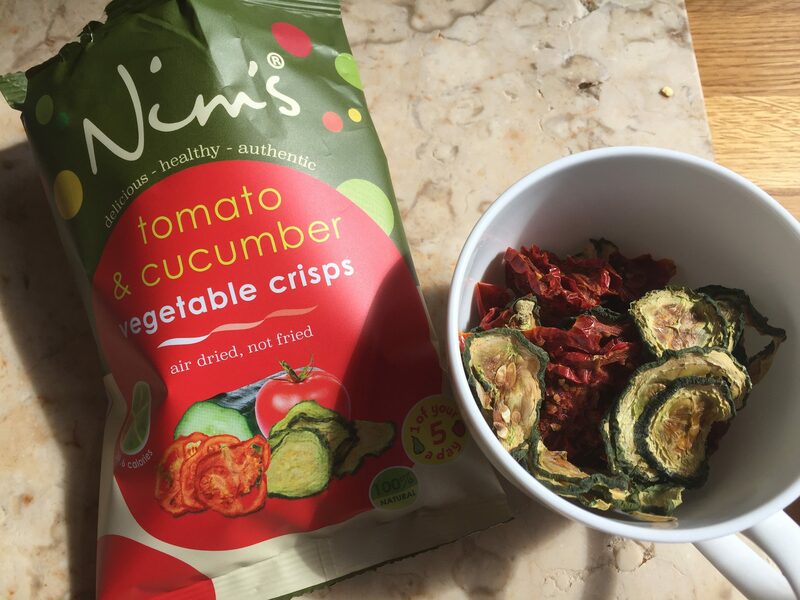 The veg and fruit crisps are air dried, not fried, have no preservatives or additives and – apart from the pineapple – come as nature intended, skin and pips and all. This of course means you are gobbling up all the benefits and nutrients of the many fruits and veg on offer in the various bags. There are eight flavours to choose from, including: apple, pineapple, melon and orange, tomato and cucumber, and pear. These are perfect for lunchboxes and cinema trips, as well as travelling out and about when you know the alternative will be junk food. I’m not the best-prepared mum in the world, often forgetting even to bring my child, let alone snacks and spare clothes! But having a couple of bags of Nim’s to hand at home saves all sorts of tears and hunger-induced meltdowns, mine as well as hers. I personally prefer the veggie ones as the flavours are full but more subtle than the fruits – the beetroot and parsnip one is delicious and definitely my favourite. My only moan about Nim’s is that the products are not yet stocked in supermarkets, but you can order them online – the selection boxes are priced from £12-£26, which works out at about £1 per packet. They are also available at good local cafes and health-food shops. If they are not, just ask them to stock them.